The myth of “The Underdog” has over centuries inspired the imagination of people across cultures and has become a kind of brain script or archetype of our times (Woodside et al. 2008; Wertime 2002; Jung 2014). An underdog has been defined as someone with disadvantages but passion and determination, and the effect that many of us emotionally support the underdog is called the underdog effect (Paharia et al. 2011). 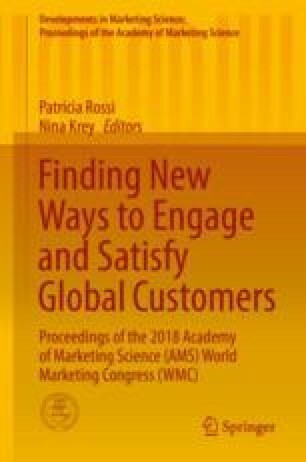 In marketing, it has often been argued that consumers prefer market leaders and famous brands over lesser established competitors (Steenkamp et al. 2003), and therefore the underdog effect has received less attention than in other areas. Despite this, Holt (1998, 2002) and Tian and McKenzie (2001) argue that some consumers prefer underdog brands for moral reasons. Wolburg (2003: 351) uses the example of Double-Cola to show that underdog brands give their customers the feeling that they indeed “own” the brand. Kao (2015), Stock and Gierl (2015), and Paharia et al. (2011) discuss how companies like Apple, Nike, or Diesel use their underdog brand biographies to point out how their founders started from a humble position to overcome obstacles, and Paharia et al. (2011) show that this resonates the strongest with consumers who see themselves as an underdog, too (also see McGinnis and Gentry 2009). Building on a structured literature analysis, our research which is still in progress develops a conceptual model of the underdog effect in the context of brands. The framework is validated by the results of various case studies. We argue that the underdog effect which can be interpreted as the consumers’ reaction to the brand’s activities consists of a positive attitude and attachment toward the underdog brand. It builds on factors that are internal to the brand. Those factors include (a) a company culture that rewards competing proactively; (b) products and services that seem to be manufactured with care and are characterized by a high degree of customization; (c) emotionally connected employees who strive for service excellence and show an appreciative attitude; (d) target groups whose members are low on materialism, show a need for uniqueness, an empathic concern, and embrace nostalgia; and (e) a brand positioning which explicitly emphasizes its distinctiveness, the brand’s history of disadvantage and struggling and the story of how this was overcome, the role and vision of its founders, and the passion of the employees.